Selenium is a non metallic element with chemical symbol Se and atomic number 34. 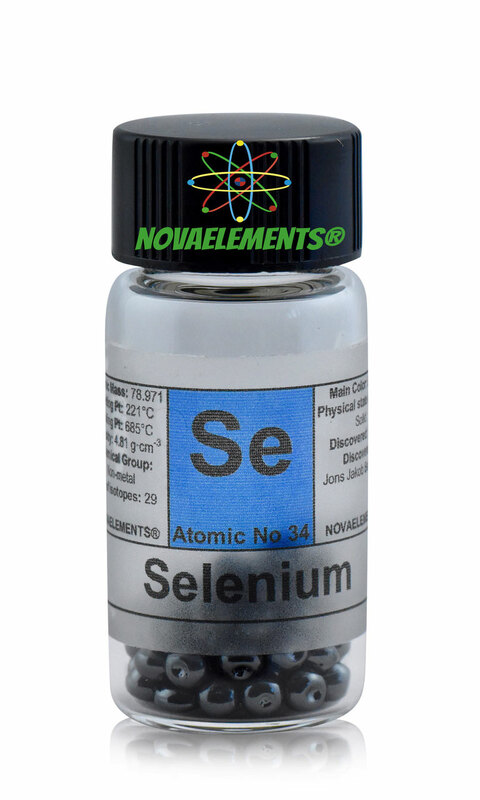 Selenium is a black solid at normal pressure and temperature, it is easy to break with a hammer, but it's also dangerous for health and we recommend you don't touch it without gloves. 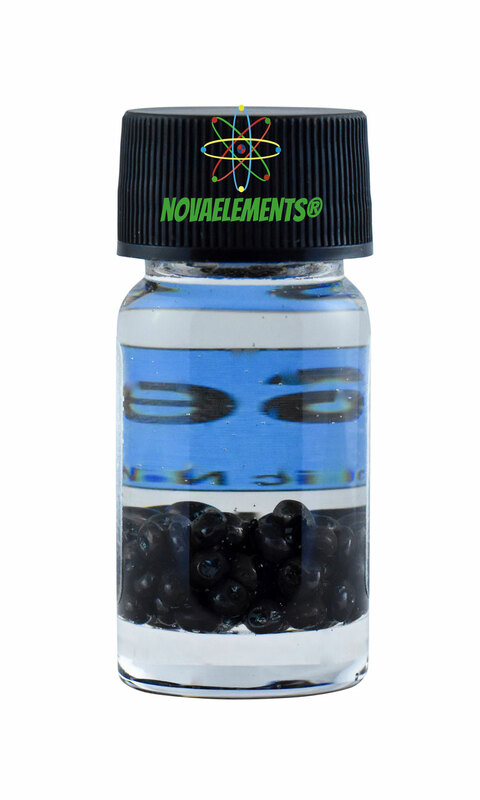 High purity Selenium element 34 sample, 5 grams pellets in beautiful glass vial with label. 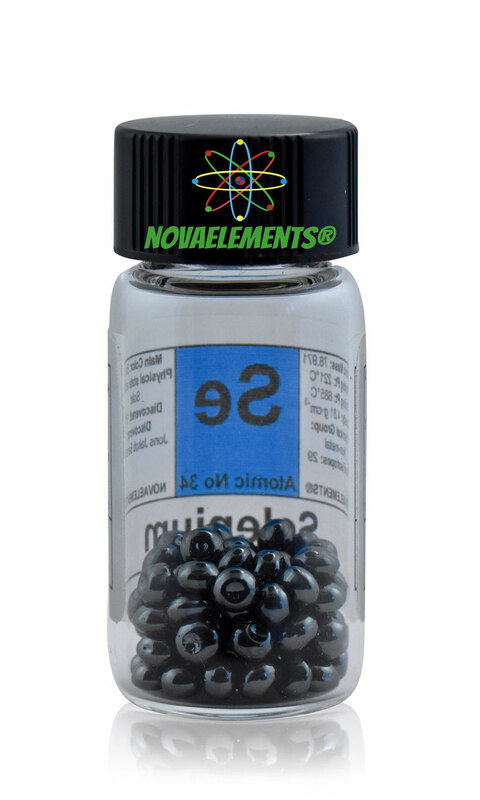 Pure Selenium metalloid element 34 sample. 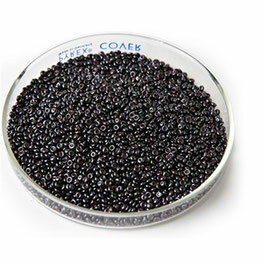 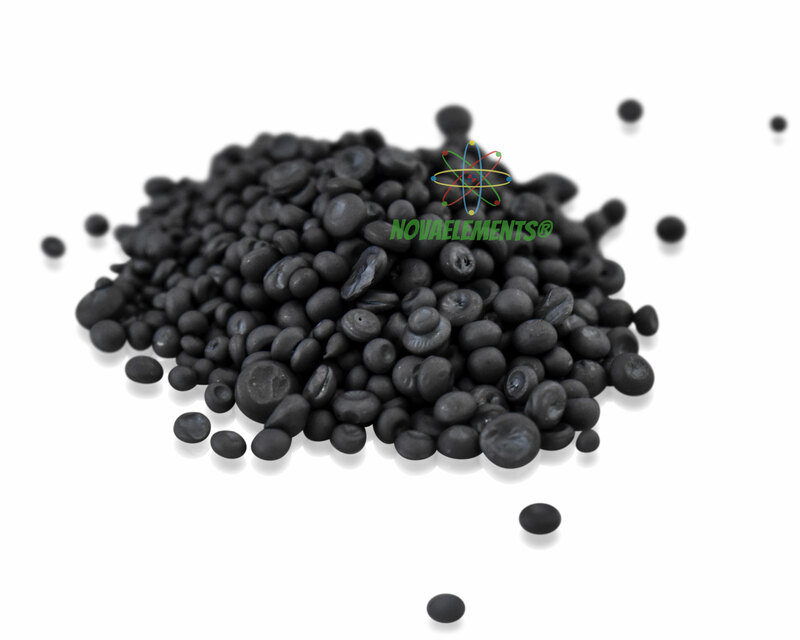 High purity Selenium pellets, element 34 sample for research or collection.